The first images of Audi's crossover concept have finally leaked out. 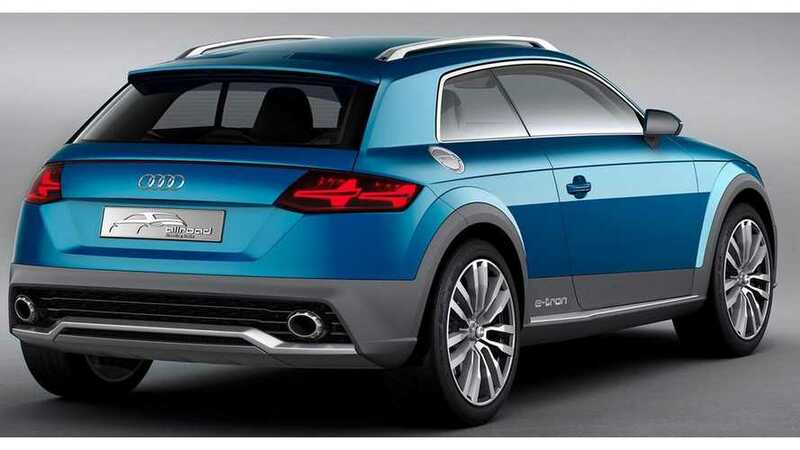 Believed to preview the next-generation Audi TT (set to go on sale in late 2014), this concept bears the e-tron badge, which means it's a hybrid (most likely of the plug-in variety). As of right now, we have no details on this crossover concept. 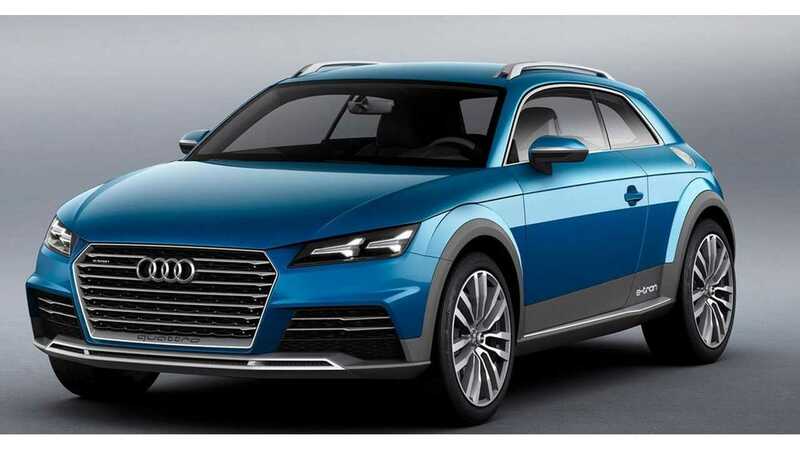 "The exterior of this concept looks similar in appearance to the TT, while its raised ride height and the addition of plastic cladding, larger wheels, a roof rack and Audi's prominent front grille have lead reports to suggest this could be a new crossover model. A rear spoiler and dual exhausts can also be seen." "Inside, this concept closely echoes the recently-revealed Audi TT interior, with its use of the new single MMI screen and virtual dashboard, as well as the flat-bottomed steering wheel and stylised air vents. A touch-sensitive infotainment controller can also be seen in the centre console."